The Italian e-commerce of reference that provides linens for hotels, B&Bs, and restaurants. The online shop TessilHotel.com which sells linens for hotels, B&Bs, and restaurants, works side by side with YESdesign to increase conversion rates, reach new target customers and achieve a return on investment of 12 times the advertising cost. TessilHotel.com arises from an entrepreneurial idea of ​​digital transformation which allowed a physical reality to overcome territorial barriers through online sales. TessilHotel.com wished to grow online following an organic, structured and data-driven path. Improving each phase of the buyer’s journey: from discovering the product to purchasing it online. A measurement plan was defined and subsequently, the Google Analytics tool was implemented allowing to calculate the acquisition cost and optimize digital marketing strategies of TessilHotel.com. The analysis and use of data are essential to guide all company choices with greater awareness. Listening to users. To increase conversion rates. Thanks to the creation of new content driven by a qualitative analysis through online surveys, TessilHotel.com was able to increase the relevance of the information contained in the product sheets and consequently improve purchase conversion rates. Thanks to a sophisticated machine learning system applied to Google AdWords advertising campaigns, it was possible to obtain an optimization of the return on investment equal to 12 times the advertising cost (ROAS). 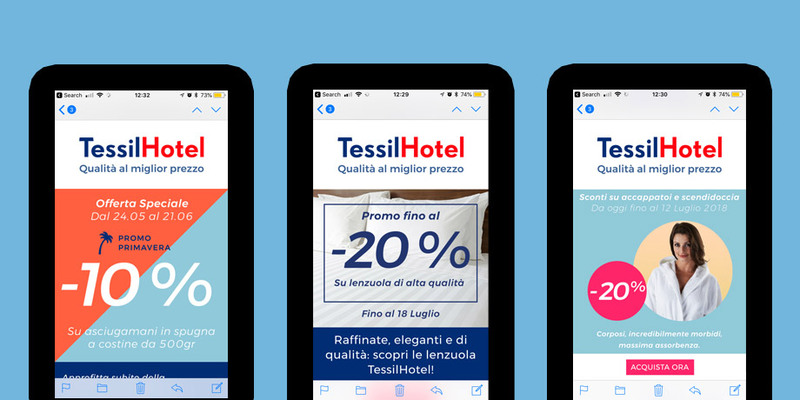 This result allows TessilHotel.com to increase investments, continue to grow and increase the number of clients on its e-commerce. TessilHotel.com continues to grow by optimizing the website according to its “user-centered” philosophy in which the user is always placed at the center of strategic business decisions.